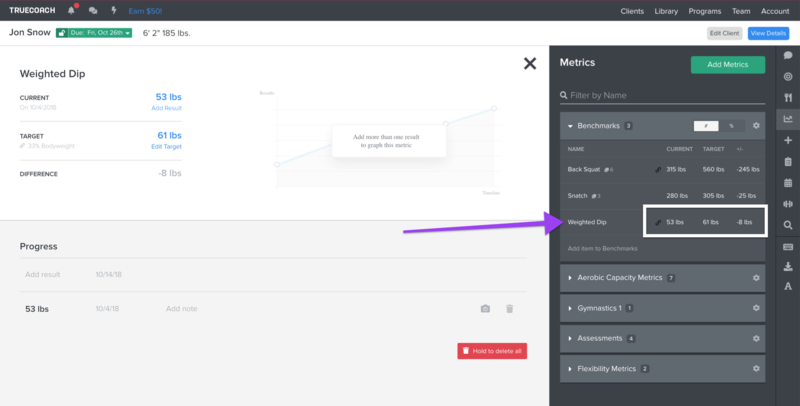 As if Metrics weren't already a game changer, we've just released another way to get even more detailed insights into your client's training. 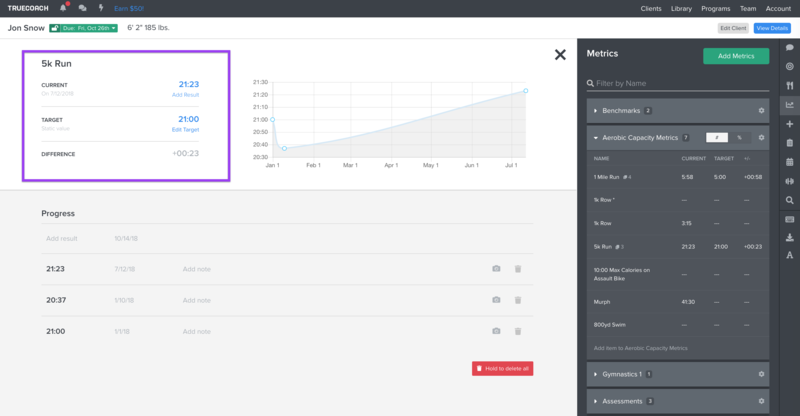 You now have the ability to set a target on each of your client's metrics. *Note that targets can only be assigned from a client's workout calendar for the time being. Target assignment from Metric Sets in the library will be available in the next update to metrics. Based on the information you have, we'll assign a fixed target of 21:00 for this client. Once this is set, we'll tell you exactly how far off (or beyond) this client is from their target. If you're a data nerd like we are, I know what you're thinking...what is that calculate button?? Well folks, that's a calculated target. For a calculated target we'll use an example from the strength world. Our friends at OPEX say that ideally an athlete should be able to perform a strict pull up and strict dip weighted with roughly 33% of their body weight. So, I'll need to make sure I have two metrics: Strict Pull Up and Body Weight. If you use bodyweight ratios quite a bit in measuring your client's strength, this is a metric that you'll want to keep as up-to-date as possible. In the past, I have assigned an exercise as 'Enter Bodyweight', then linked that result to the metric so that information is accurate when the ratios are calculated. 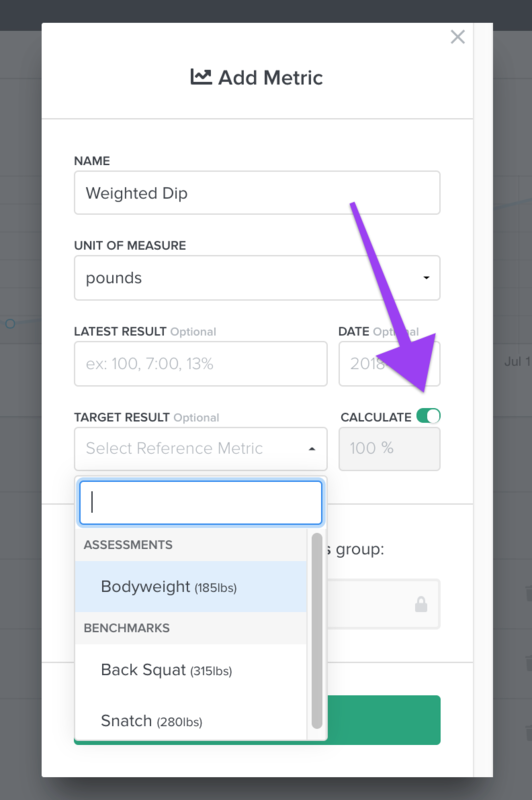 Once I check the 'calculate' box and enter 33% on my Strict Pull Up metric, I'll link it to the bodyweight metric to see how far off my client is from their target. As you update one metric, the target calculation will reflect those changes. Boom! I can see exactly how far off my client is from their target.